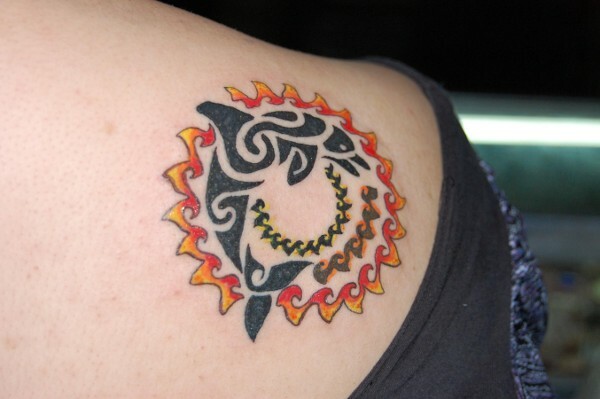 Inspired by "Sun and dolphin"
Luca asked for a Maori styled sun to express joy and happyness. 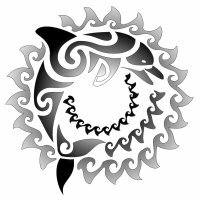 Since Maoris consider dolphins to represent joy and harmony, being a symbol of protection too, we thought of getting the two designs together. As an alternative to full black, it can be coloured in shades of grey like in our sample image, or in full colour, to emphasize its sunny look.